a masterclass in the modern telling of an ancient classic." "What a clever production! Great acting and direction. Brilliant staging, costumes and use of props! Well done all!" bring out the requisite traits, with faultless dialogue & characterisations." 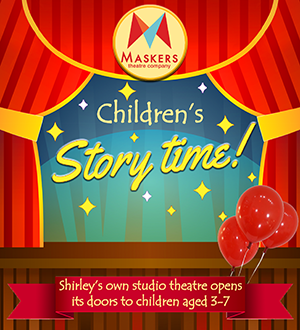 Take a Hollywood A lister, add a large helping of am-dram thesps, a sprinkle of Shakespeare, mix well and watch the heat rise to the surface! 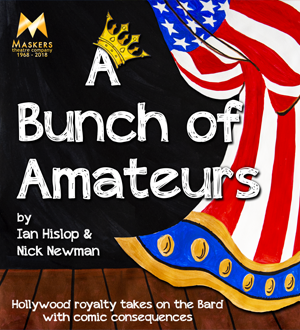 Hislop and Newman's play is packed full of fun, laughter and colourful characters. This play contains occasional use of strong language. One of William Shakespeare's finest and best loved comedies, styled in a 1980's New Romantic way. 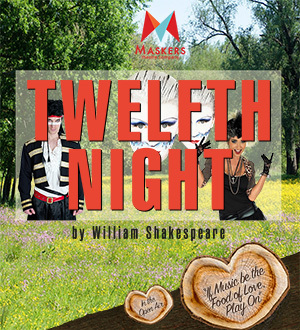 Twelfth Night's love triangle will both enchant and amuse you. At a new venue, the beautiful outdoor splendour of Townhill Park House in Southampton. Help us raise the money to repair our leaking roof!